WASHINGTON (CNNMoney) - It's full steam ahead with interest rate hikes. 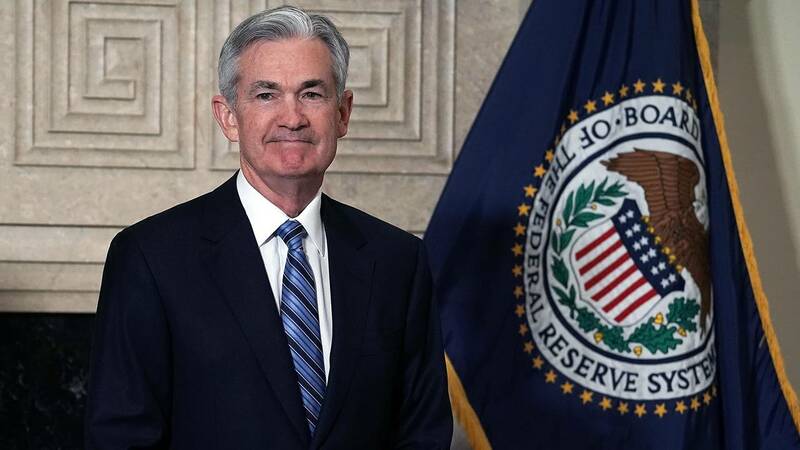 Federal Reserve Chairman Jerome Powell on Tuesday offered a strong endorsement at least for now of the Fed's plans to keep raising rates this year because the US economy is on solid ground. "The best way forward is to keep gradually raising the federal funds rate," Powell said in testimony before the Senate Banking Committee. He will make a second appearance before House lawmakers on Wednesday. The US economy hasn't been this healthy since the financial crisis. The unemployment rate is historically low and expected to decline further. Wage growth is starting to pick up. And inflation is finally at the level the Fed considers healthy for the economy. "Our challenge will be to keep it there," Powell said, referring to the central bank's 2% inflation target. Powell has sought a balance in steering the economy. Raise rates too slowly, and he risks letting prices rise too quickly. Raise rates too fast, and he could weaken the economy. The Fed has raised its key interest rate twice this year, most recently in June. It has penciled in two more rate hikes this year and three more in 2019. For now, central bankers believe the American economy is robust enough to stay on course. The Fed chairman, however, noted the difficulty in predicting the impact of escalating trade tensions on the economy, and the effects of the Republican tax cuts. Trade has emerged as an uncertain factor in the Fed's future planning. The Trump administration is preparing yet another round of tariffs on Chinese goods worth $200 billion. It has already imposed a 25% tariff on $34 billion worth of China's exports, with $16 billion more planned for later this summer. Beijing has retaliated in kind. "There's no precedent for these broad trade discussions," Powell said. "It's hard to know how this is going to turn out." Lower tariffs would be a good thing for the US economy, he said. On the other hand, higher tariffs would not only "be bad for our economy" but others', too. Countries that adopt protectionist measures have historically fared worse than nations with open trade policies and fewer barriers, Powell said. "In principal, open trading is good," said Powell. "We don't want countries to have barriers to trade, tariffs being a barrier to trade in both directions. We want to have an international rules-based system."